Greenwood Library, 8016 Greenwood Ave. N.
The Greenwood Community Council’s January meeting will focus on historical buildings in the neighborhood and examine how the landmark status process works. In November, the environmental review of HALA found that more research was needed to analyze how the rezoning will affect historic sites. 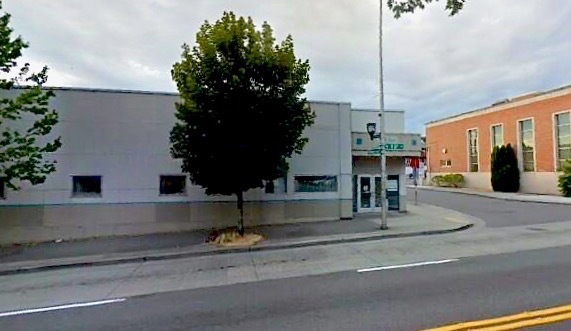 Since 1973, the city of Seattle has designated over 400 landmarks, but Greenwood’s only representation is the Greenwood Jewelers street clock at 129 N 85th St N. No Greenwood sites are currently listed in the National Register of Historic Places. A Brief History of Greenwood and Its Buildings: Beginning in 2000 the Department of Neighborhoods began conducting the Historic Resources Survey, an informal inventory of potentially historic landmarks. Information for buildings within Greenwood can be found here and here. The GCC will present a brief history of Greenwood and its architecture, with spotlights on significant buildings in the neighborhood. Historic Seattle: Historic Seattle will be holding a series of workshops focused on Advocacy, Landmarks and Research in February, March and April, but are giving us a short sneak peak of that program. Join Historic Seattle staff members Eugenia Woo, Director of Preservation Services, and Jeff Murdock, Preservation Advocacy Coordinator, for a presentation and discussion of preservation advocacy strategies related to local landmark designation and the National Register of Historic Places. 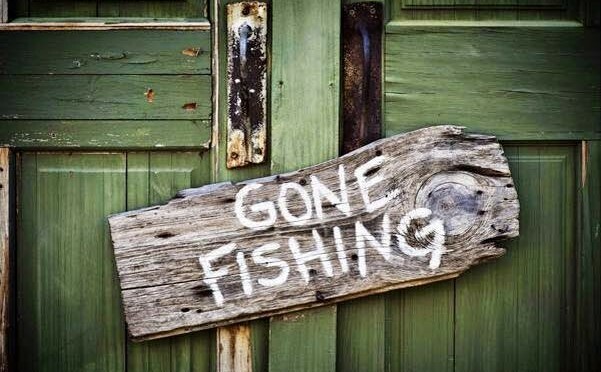 Note: our meetings end at 8:30 p.m., but the Greenwood Library’s parking garage closes at 8pm. In case you haven’t heard yet, Naked City announced last week that they will close for good before Christmas, so please stop by, leave some tips and your good wishes! Meet other Greenwood neighbors who care about our community and learn about opportunities to get involved with the Greenwood Community Council. In addition, learn about local organizations and their role in our northwest Seattle community. This informal social will allow you to ask questions directly of representatives from the following organizations and more not yet confirmed! 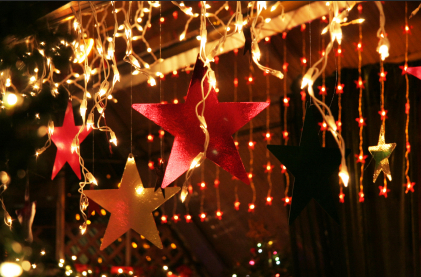 Please invite your neighbors to join us as well–the more, the merrier! TYPO ALERT: Re-sending this message because the last one had a typo in the subject line – Taproot instead of Tap Room. My fingers are at fault, please excuse them. Hope you will visit with us next Tuesday evening at Naked City! Next Monday, November 19 at 7:00 p.m. The proposed project would demolish the existing building and build a 6-story, 203-unit apartment building with retail with parking for 126 vehicles proposed. It requires a rezone to increase the height limit on the site from 40′ to 65′, which was included in a proposed citywide rezone ordinance that’s currently on hold. 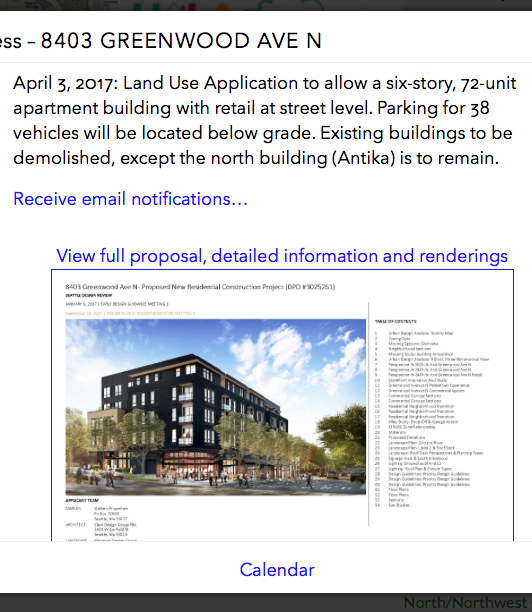 You received this email because you signed up to receive land use-related mailings from the Greenwood Community Council. How Will New Development Affect Downtown Businesses? Proposed rezoning in Greenwood’s Business Core will allow the redevelopment of existing buildings to up to seven stories, leaving many of our local businesses wondering about their place in the neighborhood. The GCC Board is seeking volunteers to examine existing programs, studies and proposals, such as the 2017 Seattle Legacy Business Study Report and the 2017 University District Small Business Vulnerability Study by Steinbrueck Urban Strategies,and volunteers to create and conduct a survey of local businesses that would be useful to city government agencies in helping our local businesses. Our June meeting is devoted to having a conversation with Councilmember Mike O’Brien, a meeting scheduled months ago, not due to any recent events. Mike O’Brien represents the Sixth City Council district, which generally includes the portion of Greenwood south of 85th St. We expect he’ll want to discuss current issues he’s working on and answer questions. What’s could the City Council do about that? We’ll be in touch. But even if you don’t submit an idea in advance, please bring your ideas and your questions on Tuesday for a productive exchange with Councilmember O’Brien. Have you ever thought about getting more involved in your neighborhood? 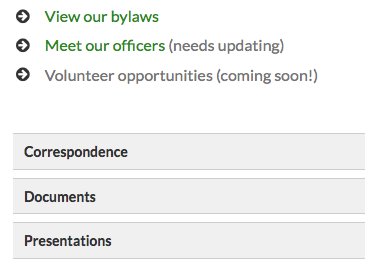 Every year, the Greenwood Community Council looks for new board members and volunteers, and we could use your help now! 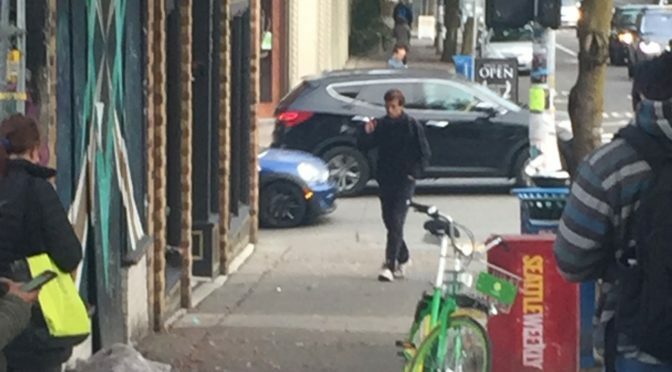 There is a lot going on in Seattle and it’s hard to keep up. We are an all-volunteer group focused on helping Greenwood residents and businesses get involved in the neighborhood, and to make sure the Greenwood community has a vision and a voice. And most of the time we have a good time doing it – join us! If you’re at all interested, please check out our volunteer page to see some of the things we’d like help with and learn how to get involved. While you’re there, take a look around our newly redesigned website and you’ll see there are many pages and resources missing – another example of something you could help with. And if you have any interest in joining our board we’d particularly like to hear from you. We’ll schedule a time to meet and discuss your thoughts and interests over a beverage of your choice. Please give it some thought – there’s a lot going on! The Community Council meeting for May will focus on crime and public safety in Greenwood and near Greenwood. Seattle Police Department Sgt. Sean Whitcomb will provide information and answer questions about crime and public safety in Seattle, in the Greenwood neighborhood, and related to the Licton Springs Tiny House Village (the low-barrier homeless encampment on Aurora Avenue). He will also share crime prevention tips. Charlie Johnson of SHARE/WHEEL and Josh Castle of LIHI will present an overview of the Licton Springs Tiny House village, address neighborhood concerns and share their own assessment of safety in the area. There will be time for your thoughts and questions. More information and complete agenda will be provided in a separate email this weekend. Here are the presentations shown at the last GCC meeting. For best viewing, click on the “full screen” icon ( ) at the bottom of the viewing area. Note that a vote was taken at the meeting supporting Greenwood’s participation in a coalition effort to improve Aurora Avenue. Interest was expressed in a potential weekend teach-in on proposed changes to city land use. There was no presentation given on the Boys and Girls Club proposal to change zoning to support a redeveloped club co-developed with new public housing. Attendees were generally supportive of the idea, but some have concerns and want to learn more before weighing in. 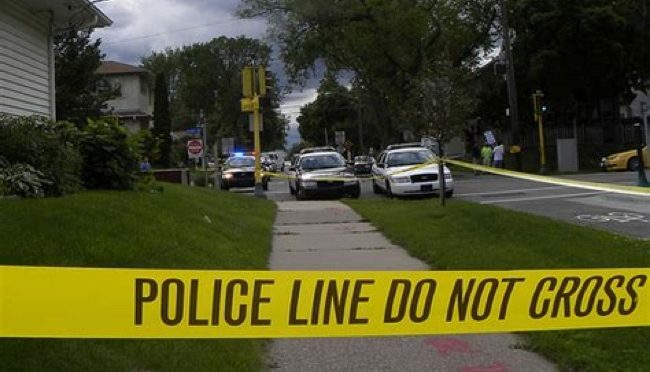 Aurora remains unsafe and a barrier between neighborhoods. In 2017 on Aurora there were 280 collisions causing 2 deaths and injuring 181 people. Lee Bruch will present slides of the opportunities that have been lost and the opportunities that can be regained. GCC may vote on whether to join a coalition to push hard for some attention to Aurora. 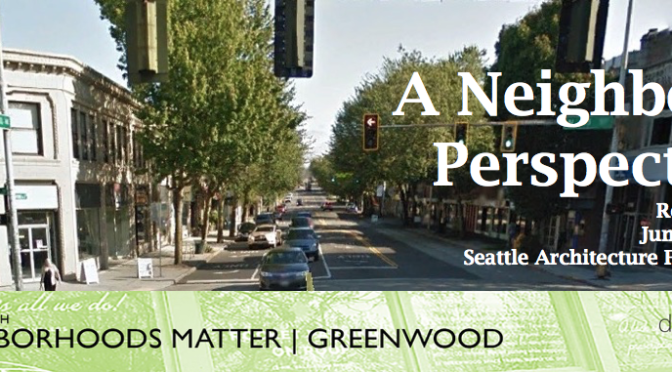 After three years of discussion and amidst ongoing lawsuits, Seattle has issued a 370-page city-wide zoning ordinance planned for passage next fall, including some unexpected height increases proposed in downtown Greenwood. Rob Fellows will provide a brief update. Boys & Girls Clubs of King County recently entered into a partnership with Bellwether Housing to redevelop their Greenwood property. The goals of the partnership are to provide youth program services to local kids, teens, and families and provide affordable housing options for Greenwood residents for years to come. To proceed with a new development that would include both affordable housing and a Boys & Girls Clubs facility, the site must be rezoned. Bellwether Housing and Boys & Girls Clubs will join us on to talk more about their plans and their hopes to change the zoning of the site. GCC will be asked to support the rezone request. Please forward to those living nearby, and anyone interested in the future of the Boys and Girls Club. Feeling sticker shock when you open bills these days? 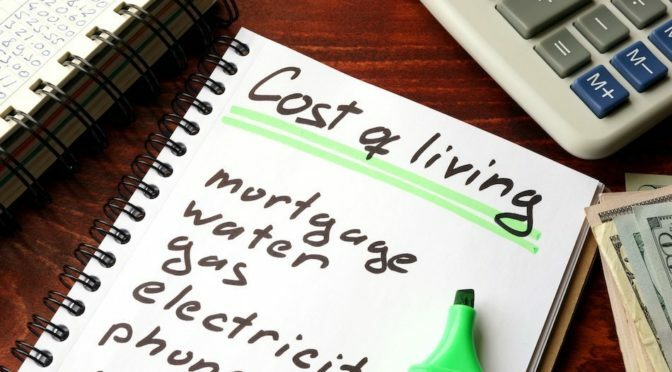 As Seattle residents, you may have noticed significant changes in costs associated with your homes. At this meeting, guest speakers will provide insight and answer questions, to help elucidate some of the uncertainty behind changing residency costs. Also, our neighbor and state legislator Noel Frame will give a summary of this year’s legislative session. Representative Noel Frame (D-36th district) will provide a brief report on the legislative session that ended last week. Seattle City Light representative Scott Thomsen will describe the new Advanced Metering initiative (resulting in new meters on your homes) and how it affects your light bills. Seattle Public Utilities Project Manager Alexander Mockos will describe Combined Sewer Overflow efforts and how they affect your utility bills. Late addition: We have been participants in a coalition to support a new pedestrian bridge connecting the North Seattle College and 100th St. corridor to the Northgate light rail station across I-5. The last hurdle is for North Seattle College to grant an easement on their property. We’ve been asked to add our name to a letter reaffirming support for the bridge, urging its implementation before rail opens, and sticking with a compromise design that will not raise costs, impact environmentally sensitive areas, or risk delay to implementation. You can see it here. We will have a vote whether to add our name to the letter early in the meeting, but will not have time to debate it so if you have questions, come early to discuss or feel free to vote no. UPDATE: The meeting approved signing the coalition letter for GCC. Tuesday, February 20 at 7:00 p.m.
7:00 (sharp!) – 320 N 85th St. 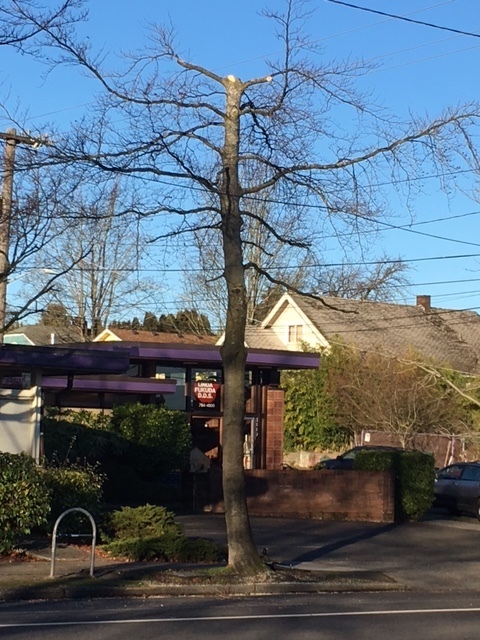 The developers and designers of a proposed new six-story, 220-unit apartment building at 85th and Phinney will present their preferred design to the neighborhood. This is the site of the old Department of Licensing building now housing All That Dance. They would like to hear comments before their early design guidance meeting a week later, on 2/26 before the Design Review Board. Click here for more information about the project and design review board meeting. If you look up while you walk along Greenwood you’ll see that City Light has taken a maximalist approach to pruning our street trees. (See photo below.) Is that necessary? Lance Young will discuss best practices for maintaining trees along public rights of ways. Here’s an example of the pruning City Light did recently. If you’ve stumbled onto our site lately you’ll see that it’s changing. In fact it is being totally re-constructed to make it more interesting and useful. But there’s a *lot* left to do – and if you’d like to help please let us know! On the front page you’ll find the featured articles and buttons to get quickly to a variety of content areas. 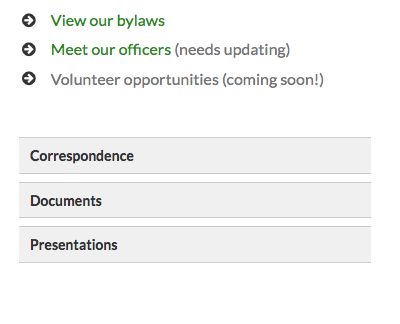 You’ll also find links in the sidebar to community council documents, presentations and correspondence, as well as our bylaws, officers and volunteer links. When you click on the Correspondence box, for example, it’ll open up and you’ll see some of the letters GCC has written over the years on neighborhood issues. If you go to the back pages, most of the content is still being written – but you will find a few interesting things. Each of the back pages has interesting articles we’ve come across (and a link for you to send others), and resources relevant to the topic. 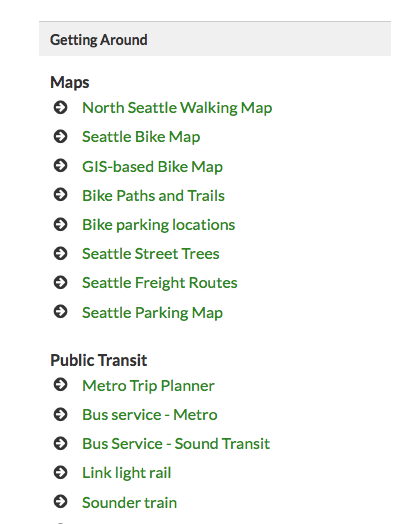 The resources section under Transportation is complete, but is still being developed for the other back pages. 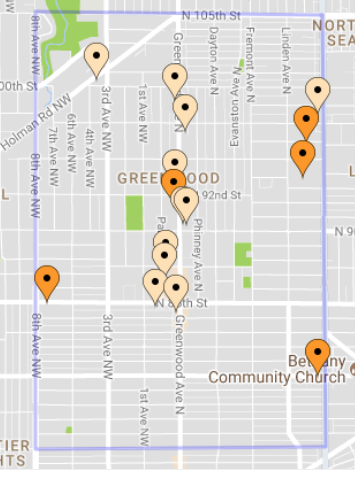 On the Transportation page you’ll find quick links to current road conditions, and the next bus leaving 85th and Greenwood. Under resources, you’ll find direct links to transportation providers and projects, and to answer your “how-to” questions. 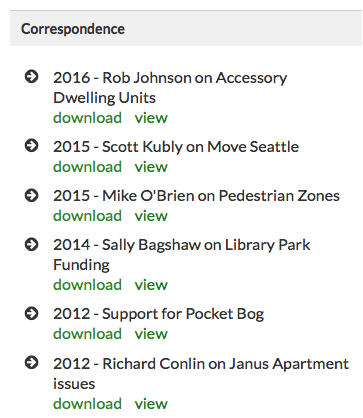 On the land use page you’ll find a link that brings up a map of all of the building projects in our neighborhood going through the design review process, and links to information about them. These are provided by a site called Seattle in Progress that does a fantastic job. Check it out and let us know what you think, or better, whether there are pages you’d like to help write! First, Rob Fellows gave a survey overview of transportation issues in the neighborhood. Rob is the GCC President and a member of the board of Feet First. 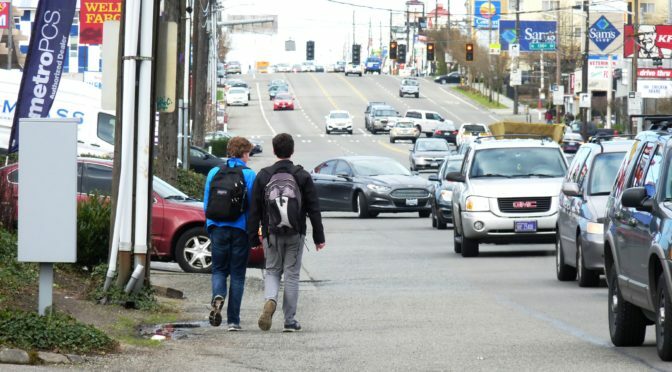 Finally, Doug MacDonald, a Greenwood resident and former State Transportation Secretary, commented on a variety of pedestrian issues in Greenwood and across Seattle. The pace of growth in Seattle leads to crowded streets, crowded buses and crowded sidewalks; meanwhile Seattle is making changes to respond. 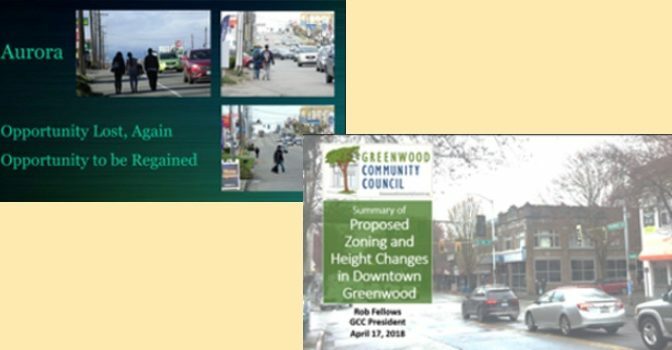 Tuesday’s GCC meeting will survey the many issues and changes to transportation in Greenwood, and discuss strategies for mobility, safety and maintaining and improving walkability in the neighborhood. After short presentations, we’ll open the floor for your observations and thoughts. 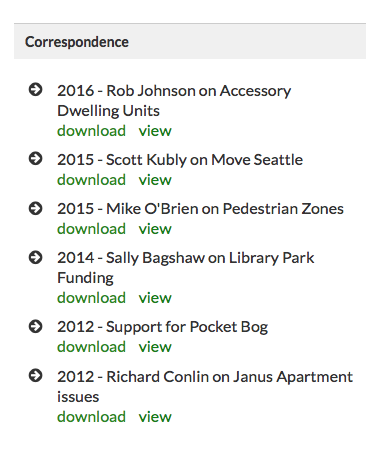 Also – check out the Municipal Research and Services Center backgrounder on sidewalks that provides a basic overview of sidewalk construction, repair, and maintenance for local governments in Washington State, including relevant statutes, liability information, and examples of local ordinances. 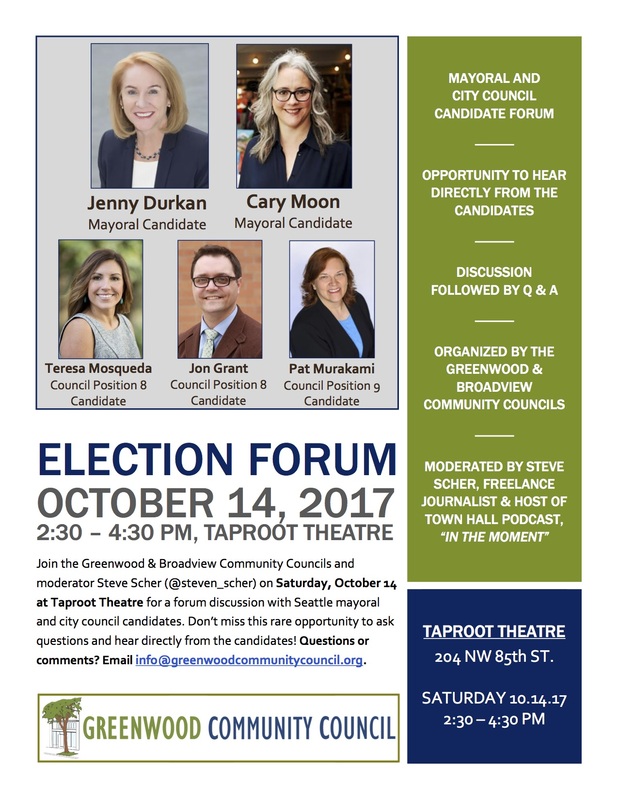 Please join Broadview-Bitter Lake and Greenwood Community Councils for an important candidate forum! Location: Broadview United Church of Christ, 325 North 125th St.
My name is a Cayla Ravancho and I’m emailing you on behalf of the Seattle Department of Transportation and the Northgate ped/bike bridge project. I hope this message finds you well. You may know about (or got the chance to attend) our open house that took place earlier this month. In addition to the event, we have an online open house that will be live through this Thursday 8/24. The link includes a survey that will help inform the next phase of design planning, and also has comment spaces for bikers/walkers to provide feedback. We’d love to hear from as many community members as possible, and would greatly appreciate it if you invited members of the Northgate Coalition to participate by sending the link along. Thank you in advance for your thoughts and consideration. Please let me know if you have any questions. 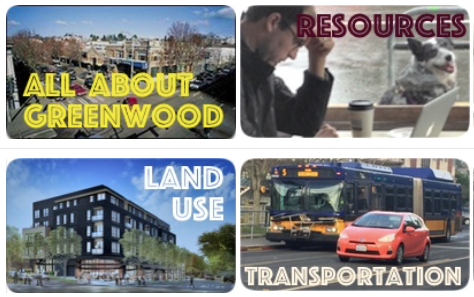 Here is a presentation I gave recently to the Seattle Architecture Foundation. I tried to give a virtual tour of Greenwood to a group interested in architectural trends, and in how community groups perceive of and have influenced development in Greenwood. I have to stress that these were my comments only, not a position of the community council. If you have comments, I’d enjoy reading them. 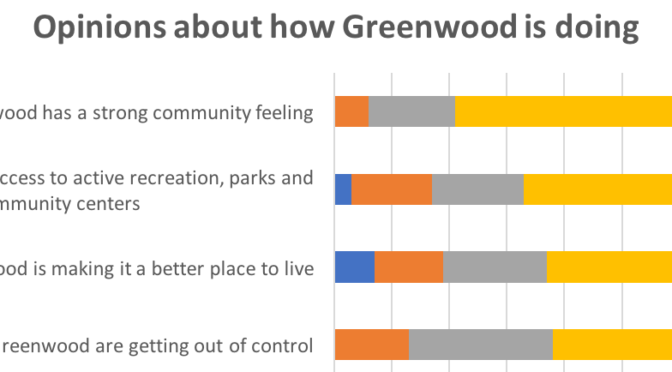 Last week the Greenwood Community Council published a survey about the most important issues in Greenwood to help shape our agenda and priorities for 2017. The questions in this survey were posed to be provocative, but hopefully not one-sided. As of today we received 87 responses, which is far from enough to represent Greenwood statistically, but a very good sample of the people who follow neighborhood issues and the community council. If you’re interested in the responses, read on! We are not an advocacy group for a particular perspective or ideology, and we don’t claim to represent the diverse populations and points of view in Greenwood. But we recognize that when we succeed in engaging and voicing agreement among broad and diverse opinions and perspectives, we can help Greenwood’s voice be stronger and more productive. If that’s the kind of group you’d like to be part of, please attend our annual meeting tomorrow (Tuesday – see the meeting announcement below) and consider joining our board. To see more about our board positions, see this message, and if you have questions or comments send them to this email address. The Greenwood Community Council is conducting a survey about the most important issues in Greenwood to help shape our agenda and priorities for 2017. You can weigh in by following this link. What issues are on your mind, and which should the Community Council focus on over the coming year? 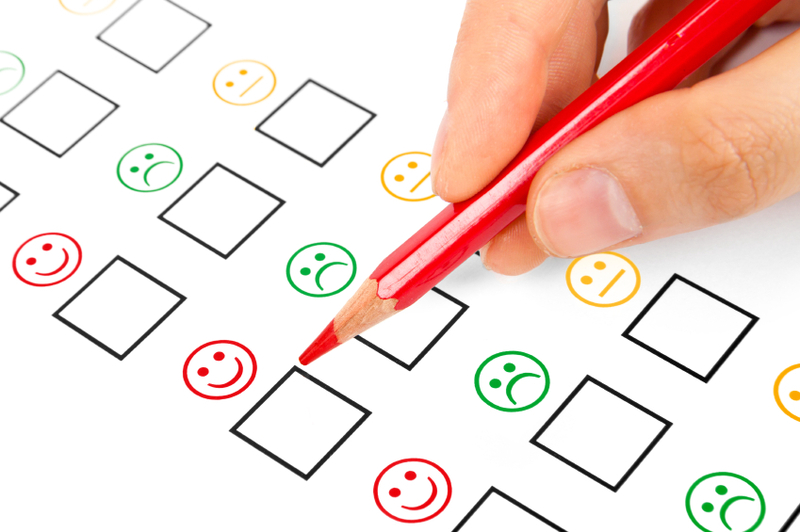 We will tally the surveys received through Sunday night (April 16) and display the results at our annual meeting and elections next Tuesday April 18 at the Greenwood Library. Announcements and agenda for that meeting will go out this weekend, but please mark it on your calendar now. We will elect new board members and establish priorities for the coming year. I want to add a personal note about why I’ve been involved in the community council off and on over the last few years. I have long believed that being involved in one’s neighborhood is a good thing in itself, because it builds community. But as I’ve become more concerned about politics getting more polarized (yes, even here in Seattle!) and people self-selecting the information they’re exposed to, I’ve become more convinced than ever that face-to-face community engagement can help find middle ground win-win solutions, and promote understanding between people who have different backgrounds and values. When we talk about diversity, the first step is to listen, and understand that neighborhoods are where diverse interests come together and need to be reflected. In Greenwood we’ve had a positive effect on development. Ten years ago GCC worked with businesses and the city to develop a town center plan for Greenwood that has promoted a positive vision for development that would be consistent with preserving the things we all like about living and working here. Now we are seeing a sudden surge in development, and many of the developers have come to the community council to discuss their development proposals early in the design process. For transportation we have seen some progress, including some new sidewalks on Greenwood last year. But we have a long way to go to complete the sidewalk system even along arterials and in the urban villages. With new schools and light rail stations opening, pedestrian and bicycle pathways need to be made safe or available at all. And of course getting around in a bus or car is getting more difficult every day. Every neighborhood needs to speak up to be heard downtown, not just for transportation, but for parks, playfields, community centers, drainage, libraries. And there is also a lot to be done for safety and health issues – from responding to neighbors in need, to preparing for disasters and earthquakes. GCC has been active previously in these areas, but need new interest to get these efforts restarted and to partner with other community organizations. There is a growing interest and need to focus community and city resources on Aurora Avenue, where new encampments and shelters are planned. Finally Seattle has challenged all of us to help voices be heard who are not always part of city debate. The community council can play an important role bringing decision-makers to Greenwood to meet with neighbors directly, to educate on how the city works and how to be most effective, and to reach out to constituencies in Greenwood who are not prone to or able to go to evening meetings. These are the things we’re involved in as volunteers. We hope you’ll consider joining in.